2 Stry ShopLot #Pusat Perniagaan Lukut Utama #LukutTown #PD. Warehouse For Rent In Senawang, Negeri Sembilan. Semi-D Factory For Rent In Nilai Industrial Estate. Factory For Rent In Nilai Industrial Park, Negeri Sembilan. Factory For Rent/Sale Nilai Industrial Park. Factory For Rent In Nilai Industrial Estate, Nilai. Factory For Rent In Nilai, Negeri Sembilan. Factory For Rent In Senawang Industrial Park. Merchant Square, Tropicana Office Fully Furnished For Rent. Seremban 2(S2 Heights) NEW 2Sty SHOP OFFICE FOR RENT (PLAZO) RENT- RM3,500 Only. New Semi-D Factory For Rent In Nilai, Negeri Sembilan. Corporate Office Space[7,000SF][Opposite Aeon] #Seremban 2. PD Waterfront Shop Lot #Port Dickson Town. Desa Palma Whole Apartment for Rent. [Studio Unit] Admiral Marina Crescent Condo #Beach & Sea #PD. [Studio] Avillion Marina Crescent Condo #Beach & Sea #PD. New Factory For Rent In Enstek, Negeri Sembilan. 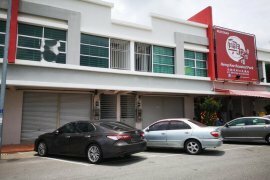 Strategic Location Shop Lot #Beside Palm Mall #Seremban. 2 Stry Shop Lot Facing Main Road #Lukut #Port Dickson. Hello, Please contact me, I am interested in properties for Rent in Negeri Sembilan. Best Regards. Dot Property Malaysia is an online property portal where thousands of property searches happen every day. Start your search today for affordable property for rent in Negeri Sembilan from 41 available listings. houses, commercial space, and luxury properties are available for rent in Negeri Sembilan. Negeri Sembilan’s properties for rent are either listed by private home owners or property agents such as Accom Asia Co.,Ltd, brylle martinee and Deux Diaz. The average asking price for property rentals in Negeri Sembilan is RM 0 for houses and RM 0 for houses. Refine your search to help you find the perfect Negeri Sembilan property by price and number of bedrooms.